August wa s the second consecutive 16-page issue, as announced in the June. 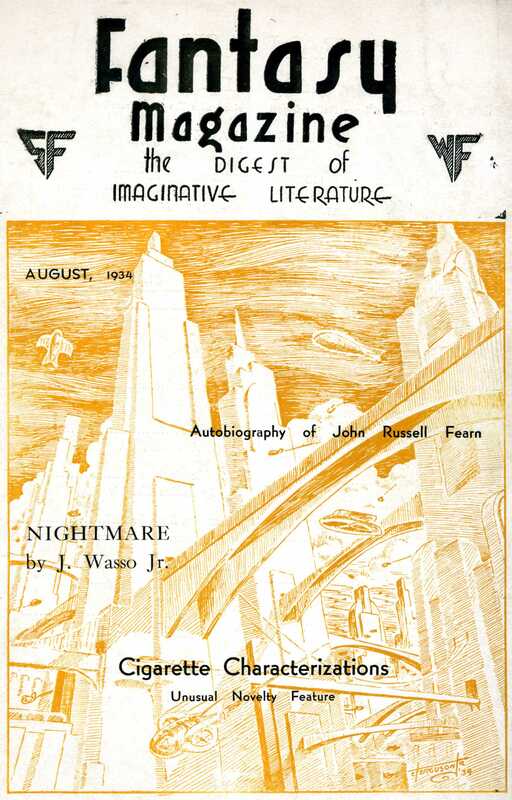 Although the editors had at that time indicated that the next two months would be devoid of fiction, this issue featured a short “weird” piece very much in the style and universe of H.P. Lovecraft. In “Spilling the Atoms,” Rap announced a reader poll to establish which Cosmos author “has given you what you wanted.” The somewhat confusing instructions are shown at the right. Ed Earl Repp will be unable to do his part of COSMOS. Jack Williamson will probably take his place. We know from the next issue that Mr. Williamson was also a no-show. Palmer had to scramble again, but this time resisted the temptation to step in himself. We all thought that our eighteen author epic, COSMOS, created a record – but in 1892 there appeared a three volume novel, “The Fate of Frenella,” written by no less than twenty-four authors (among them A. Conan Doyle and Bram Stoker)!! A NOVEL written by twenty-four authors—without any collaboration or previous arrangement, but simply composed chapter after chapter, with no plan for the authors’ guidance —is certainly somewhat of a literary curiosity, whatever it may be as a specimen of literary art. The authors are all fairly well-known and experienced novelists ; and it is to be supposed that, lending their names to such an experiment, they would have done their best to make it a success. We cannot say that it has been successful. The homely adage of the broth tha t was spoiled by too many cooks may be applied to literature as well as to the kitchen. 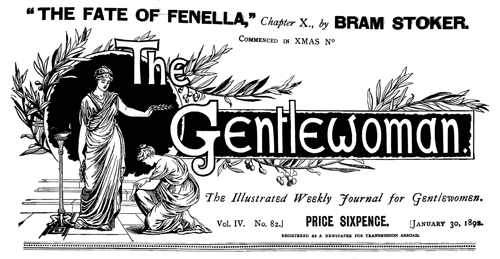 The editor challenges the intelligent reader to discover in the story of Fenella traces of the “dominant mind” without which Mr. Besant says that all collaboration is useless. The dominant mind is, indeed, wanting, and its absence has not contributed to the probability of the plot. Also the absence of any pre- conceived plan must have robbed the writers themselves of any interest that they might otherwise have taken in the characters with which they had to deal—for what interest could they take in a personage when they did not know whether he would live through three volumes and be happy ever after- wards, or whether he would not be killed in the very next chapter —and this absence of interest on the part of the authors is almost as conspicuous as the absence of a dominant idea. The result has been a fairly readable novel, that tells an extremely silly story. The plot is ridiculous ; the characters waver and change from chapter to chapter ; but there are occasionally strong situations, and scraps of fairly good dialogue. Many readers would note similar challenges with Cosmos. There were no further mentions of Cosmos in this issue. Much of the letters column was occupied by Julius Schwartz announcing the contents of the upcoming second anniversary issue. Read Chapter Fourteen of Cosmos. Read about the September, 1934 issue.